Blood culture contaminants lead to increased empirical antibiotics usage, contributing to antibiotic associated colitis, multi-drug resistant bacteria, and increased risks for drug interactions. Quality improvement programs have led to complex costly blood culture collection bundles, including sterile kits, blood diversion tubes, and advanced skin preps, all with the goal of reducing blood culture contaminants. 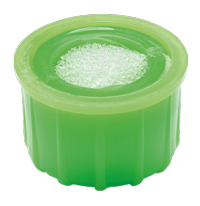 Despite current interventions contamination continues to occur because bacteria reside deep in the dermis where antiseptics cannot penetrate. This study investigates the efficacy of an engineered passive blood diversion device in preventing blood culture contaminates. 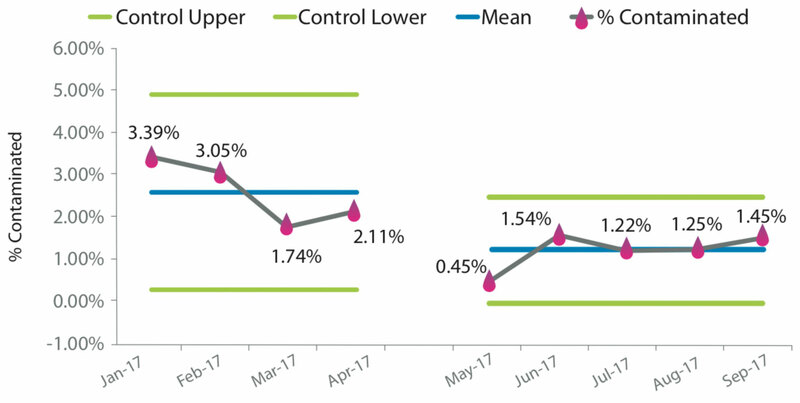 This quasi-experimental study focused on blood cultures collected by phlebotomy and the emergency department between January and September 2017 (Pre: Jan – April, Post: May – September). The ratio of contamination was evaluated using a chi-square test at a 0.05 alpha level. 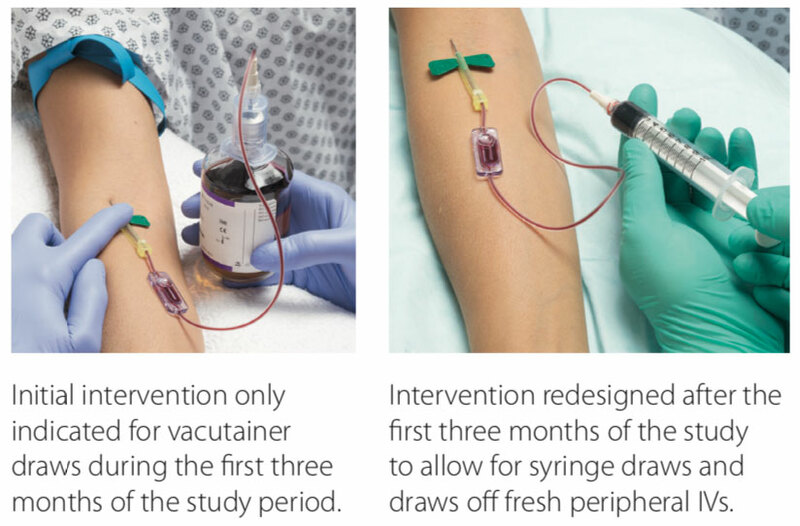 The intervention was only indicated for vacutainer draws during the study period, but stratifying the pre-intervention data for vacutainer collections was not possible. For this reason, this study focuses on total blood culture contaminants, and not just vacutainer collections. Without stratification, the mentioned results are what a user could expect to reproduce in a “real world” scenario. Results from 4220 blood cultures were analyzed. The pre- intervention period included 1953 cultures with a contamination rate of 0.025, 95% CI [0.019, 0.033]. The post-intervention period included 2267 cultures and a contamination rate of 0.012, 95% CI [0.008, 0.017]. A chi-square statistic was calculated to examine if the intervention reduced blood culture contamination. The test was found to be statistically significant, X2(1, N = 2852) = 10.979, p < 0.05. The results suggest that there is a relationship between the proportion of a blood culture contaminants and the type of device used. This may be more apparent given that the intervention was not indicated for all types of blood draws during the study period. It appears that this product can potentially reduce blood culture contaminants, but more research is required. The studied intervention is not indicated for use for all types of blood draws. Intervention was utilized in 50% of blood draws during the post intervention period. During the first 3 months of post Intervention period, the trial device was not indicated for use in 8 out of 9 contaminated cultures. 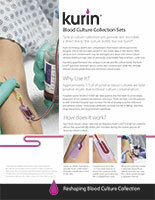 In the post study period, the device was redesigned to allow for different types of blood cultures (ex. draws from a freshly placed IV). Bekeris, Leonas G., et al. “Trends in blood culture contamination: A College of American Pathologists Q-Tracks study of 356 institutions.” Archives of Pathology and Laboratory Medicine 129.10 (2005): 1222-1225. Garcia, Robert A., et al. “Multidisciplinary team review of best practices for collection and handling of blood cultures to determine effective interventions for increasing the yield of true-positive bacteremias, reducing contamination, and eliminating false-positive central line–associated bloodstream infections.” American journal of infection control 43.11 (2015): 1222-1237. Hall, Keri K., and Jason A. Lyman. “Updated review of blood culture contamination.” Clinical microbiology reviews 19.4 (2006): 788-802. Self, Wesley H., et al. “Cost analysis of strategies to reduce blood culture contamination in the emergency department: sterile collection kits and phlebotomy teams.” Infection Control & Hospital Epidemiology 35.8 (2014): 1021-1028.